Happy "Holla" Holidays. Festive attire desired. I'm a hollering "HAPPY" because I got the shimmer! The minute I saw this Sequin Number in the Nordstrom Holiday catalog, I knew I wanted it to be mine. The Holiday Style fashion link-up prompt for today is Sparkle and Shine so these sequins were in order. I wanted to get these photos at some cool locale but it was just too darn windy and rainy, darn you Mother Nature..hurts a bloggers photo dreams ya know! The porch was about as far as we could go, lol! I actually forgot to showcase the dressy, glitzy clutch I'd carry with this and I probably would put on pair of tights but before I get pasty white, I went for it with just knee high boots. This Dress is from a line at Nordstrom called "Something Navy" and us the vision of popular blogger Arielle Charnas. Of all the blog collabs with Nordy, her stuff is some of my favorite. Yeah so at first because of the line name I thought the dress was of course, Navy, but it is indeed black. I bet I may be getting more pieces from her cute line. I just love the satin cinch tie waist on this. If I eat too much at a Holiday dinner, I can totally loosen it a little, lol! Here are the Fashion Prompts for this Christmas season! 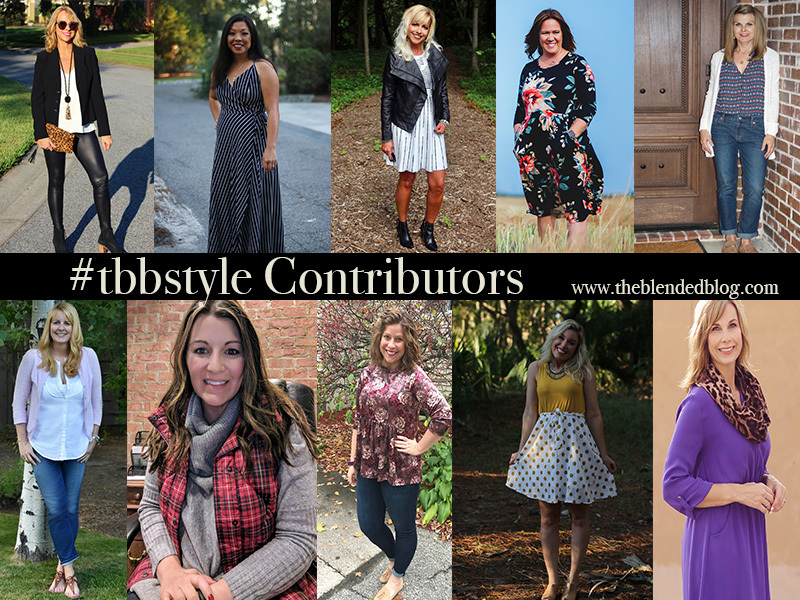 Head over to TBB to Link-Up your sparkly and lovely outfits and make sure to see what all the ladies are shining and shimmering in! Here are the Fashion Prompts for this Christmas season! Well you are in fact looking sensational in that beautiful dress! Love it with the boots! That is a great dress that you can wear for many occasions! So much sparkle - you are ready for that festive party! Hope you have a wonderful day! You look amazing in all of this sparkle, Andrea! Love it! You look ready for a holiday party - love it! That dress is SO gorgeous friend! I love the black sequins--super fun and festive but not too over the top!! Holla! You definitely sparkle in it too. What a great holla-day look! This would make a perfect New Years Eve outfit!! I love it. I’m always afraid to wear sequins thinking it will be scratchy. How does this one feel? You look darling in it and the background worked out perfect. That dress is so chic and gorgeous on you! You look amazing! You are a sensation indeed! Love how this dress looks on you...from overalls to elegance you can rock anything my friend! Oh you look amazing in this dress! And you're lucky to have such a photogenic front porch! I would gladly take pics on my front porch if it looked as nice as yours! When in doubt, wear all the sequins! Love it. Seriously, can you get any cuter? I think not. I love that dress. Perfect for all holiday celebrations. Sequin sensation is the truth! You look so gorgeous in this dress!! So sparkly and fabulous, perfect for the holidays! Looking great! I saw that dress too in the catalog! Funny they named it navy when it is black! Woo-Woo- A Sparking Stunner you are! Love the dress, and those boots look wonderful with it! I love dressing up for the Holidays! It's the best kind of dress, Andrea!! And you look even better than the model on the site in it!! Well hello, hot momma! You look like you're all ready for New Year's Eve!! Such a cute dress! Wow!!! This dress is amazing. You look soooo pretty! Stunning! You always look so beautiful, and you can tell it's inside of you too. This dress is so pretty and perfect for the holidays!! Ugh the weather never works in my favor when I want to take an outfit pic. That is the perfect winter dress! I love dressed that are glam, but have long sleeves (because BRRR!)! Tights would be perfect with that too for some extra warmth. This dress is adorable on you! Yes, I agree with another comment, you are now sporting the outward sparkle that matches your inward sparkle. :o)) What a great combination! Loving all the blogger x Nordstrom partnerships! So creative. We are highly pasty up here this time of year. Enjoy those tanned gammes! A beautiful and fun dress for the holidays! I love it! So sparkly and festive, I love it! So pretty! Love everything about it - although it would be too short on me, so tights would be necessary! Very festive! Have you already showed the decorations outside your house? WOAH you look FABULOUS, Andrea! Super sparkly for the festive season. I just bought myself a sequin skirt to wear on Christmas day, although I haven't decided what top to wear with it yet!! WOWZA! You look fab, Andrea. You should wear that hot little number to every Christmas party you are attending. Enjoy your week. What a fun little outfit for this time of year! You can never go wrong with sequins and you look amazing Andrea! You are TOTALLY a sequin sensation in this number! I love this! That sequined dress is gorgeous!! You look amazing! You look so good in this outfit! It's just perfect on you for holiday entertaining and parties. Thanks for joining the Thursday Moda Linkup, Andrea! I absolutely love all your sequins--so perfect and festive for the holidays. I also really like the accessories you chose. I thought those sparkly bracelets were part of the dress at first! Hands down my FAVORITE holiday...no wait..scratch that - my favorite LOOK of all time from you...well..ever!! You are a natural in all of this glitz & glam glory! Shine bright, my friend! You are so darn fab!! LOVE sparkles- the dress looks amazing on you- you are smokin! Black sequins are just oh so elegant! I love this dress on you and the boots you picked with it. 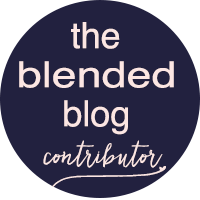 There are a lot of Nordy blog collars lately, I am not familiar with this particular blogger- will have to check her out. Oh the sequins are so fun for the holidays and I love the draping on this dress! You look gorgeous as always! Oh my goodness are you one hot mama in that dress! Fab dress dear! So cute and comfy. Lovely with the boots too.